The vehicle that you see here pretty much looks like a three-wheeled motorcycle. But many aspects on this vehicle are very much car-like. 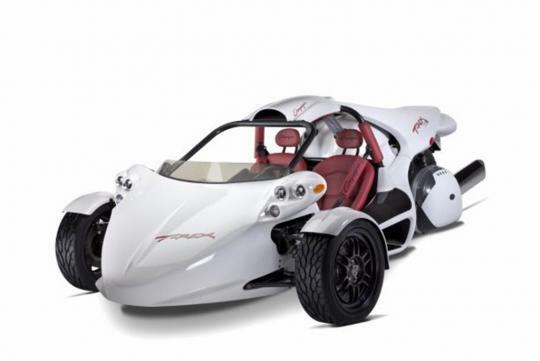 This three-wheeled contraption is made by a Canadian company known as Campagna Motors and it is known as the T-Rex 16S. 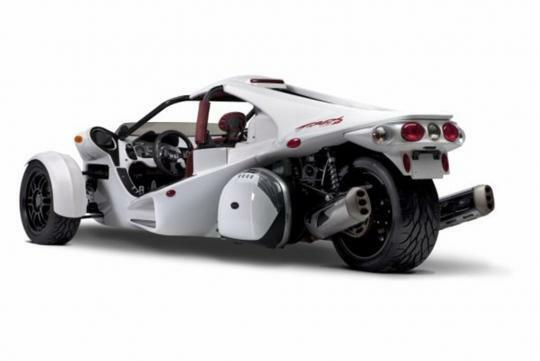 The Campagna T-Rex 16S is the company's latest sub-model within the T-Rex range and it is equipped with a new engine when compared to the T-Rex 14R. Let me talk about the company a little before I continue on the T-Rex 16S. 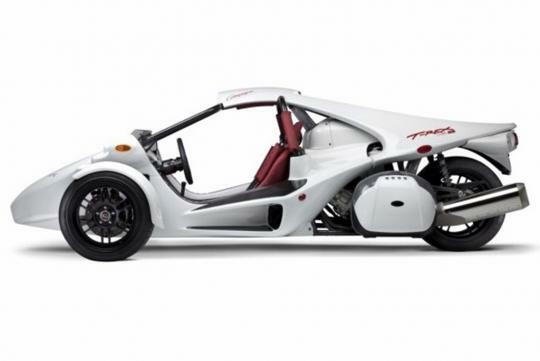 Campagna Motors has been making the three-wheeled T-Rex since the 1990s. A few years ago, they merged with another company, Cirbin which developed the wider and more fully-bodied V13R model and both models are manufactured in Montreal, Canada. Unlike the T-Rex 14R which is equipped with a 1.4-litre four cylinder engine sourced from Kawasaki, the T-Rex 16S is equipped with a 1.6-litre six cylinder engine sourced from BMW. Power output from the new engine has dropped to 160bhp but the torque has increased to 175Nm. The T-Rex 14R has a power output of 197bhp with a torque value of 153Nm. The engine is mated to a six speed sequential transmission and should be able to launch the 500kg vehicle to 100km/h in less than five seconds (the 14R completes the century sprint in 3.9 seconds). As mentioned above, much of the vehicle's features are very much car-like and one of them is the steering wheel. There is also a gear knob in the middle, two bucket seats and it has similar foot pedals that you will find in a car. In other words, anyone who is familiar with car-type controls would be able to drive the T-Rex. 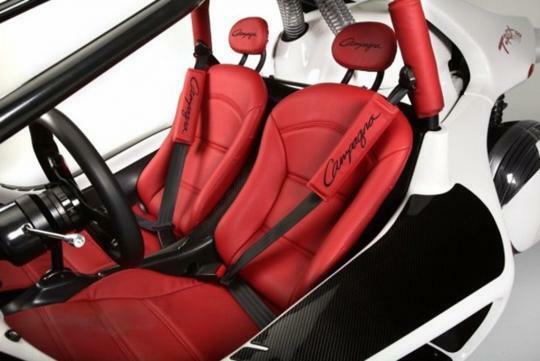 The Campagna T-Rex 16S has a tubular chassis and it comes with an integrated roll cage and a three-point safety harness. The bodyshell is made out of fibre glass and accentuated with several carbon fibre parts. The T-Rex 16S is available in eight different body colours and the one shown here is in Winter White. Due to its car-like features, the company has mentioned that most of its customers are car enthusiasts and most of them are attracted to the vehicle's ride stability and its unique looks.